In a recent speech to the Heritage Foundation, Mitt Romney was able to rant all he wanted against President Obama. The main motivation behind his speech was to posture himself as a candidate for 2012. According to Romney, Obama's emphasis on diplomacy and talking before fighting has caused him to turn his back on what "America has sacrificed to free other nations from dictators." We can be assured that if Romney were president, he'd cut this diplomatic crap and get right down to invasion and war and launching missiles. Hmmm. That does sound easier than sitting down at a table and listening to someone with a different opinion than your own. 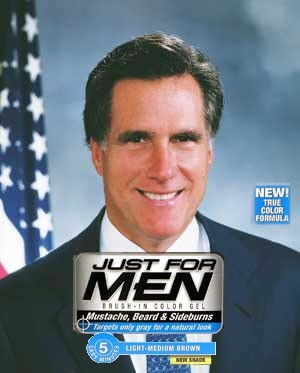 Maybe Romney is on to something here. Romney's condemnation of Obama continues: "Arrogant, delusional tyrants can not be stopped by earnest words and furrowed brows. Action, strong, bold action coming from a position of strength and determination, is the only effective deterrent." Romney is wrong on one thing here--the furrowed brow thing works. Personally, I've stopped three dictators just by furrowing my brow. But other than that, Romney gets it. He's had enough experience in the competitive world of business to know how to deal with Kim Jong-il. It's the same sort of thing, right? The idea of even trying peace talks offends Romney, and his sympathetic listeners at the struggling Heritage Foundation heartily agreed. But I wonder if entrepreneurs like Romney are better fit to run businesses and watch football rather than make the big decisions in international relations.